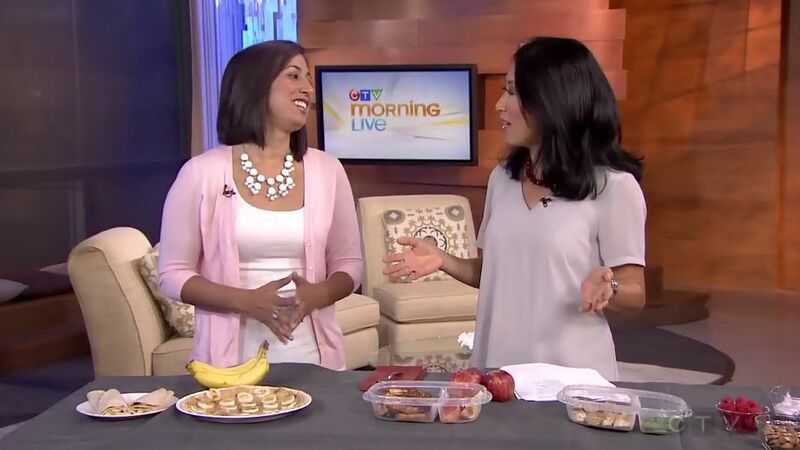 On August 24, I made my first appearance on CTV Morning Live. I had such an outpouring of support as well as interest that I thought I would share the whole experience. It started this summer when I made a work to-do list. 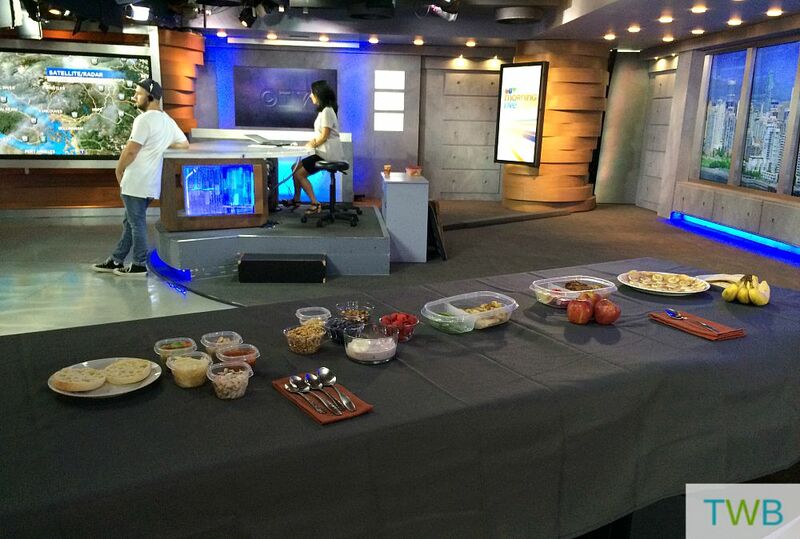 It included pitching CTV Morning Live a Back-To-School Lunch Ideas segment for their show. With my background in television, I thought I would try pitch some of my popular blog posts as TV segments. And what do you know, they were interested! They asked me to come on August 24 to be live on air at 8:40am. 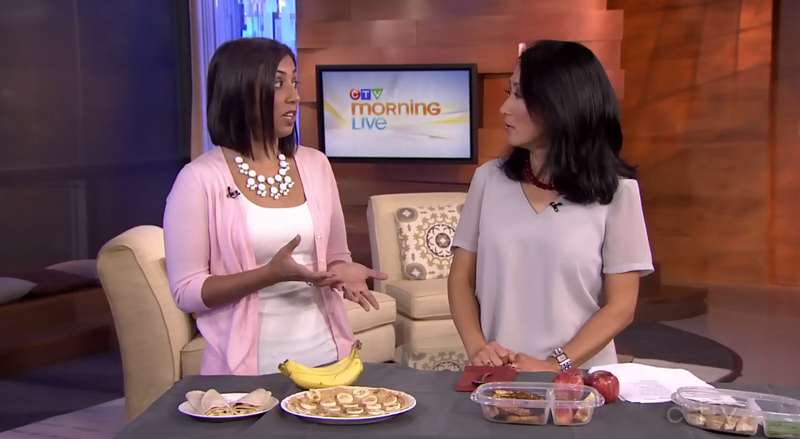 I would be sharing 5 Back-to-School Lunch Ideas That Are Not Sandwiches. My segment would be 5 minutes long. The day before my appearance, I got all my ingredients and started preparing the recipes so they would be ready for the next morning. I wanted to leave early to make sure I gave myself enough time to drive to the studio in downtown and have enough time to set everything up. 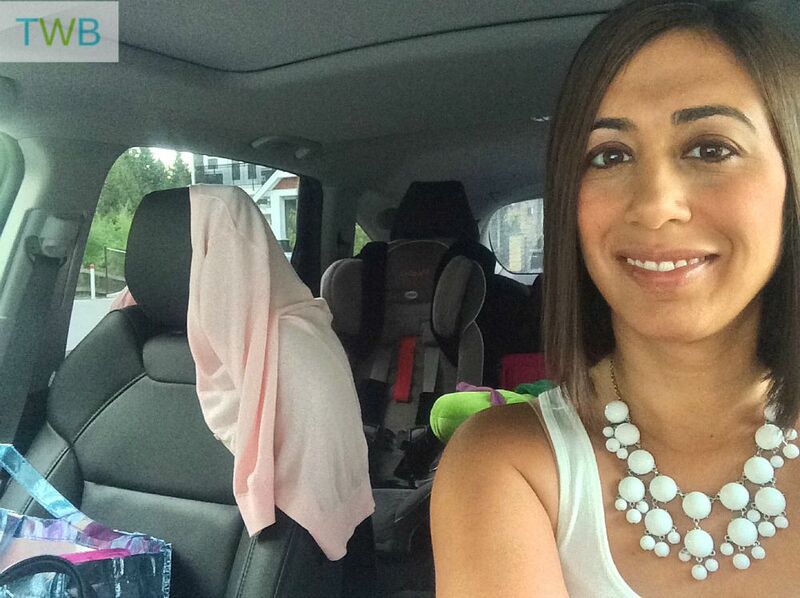 That night, I got the kids to sleepover at my parent’s house so that I would be able to focus on preparing and not have to worry about rushing them out the door early the next morning. I actually started having butterflies in my stomach the night before. I realized the reason was that I had lots of stuff to take with me and I think I was worried that I would leave something behind and then the segment wouldn’t go over right! I packed all the non-perishables the night before. In the morning, I put on the outfit that I had already planned, attempted to be camera ready with my make-up (thankfully they had a make-up person who knew what she was doing so she touched up my face when I arrived.) Then I went downstairs and took all the perishables out of the fridge, packed them and was on my way. It was a beautiful day and I got to the station nice and early. I was let inside and taken to make-up first for my touch up and lipstick application. Then they took me inside the studio where the show was happening live. I got my table and started setting up. Once I was ready, there were no more butterflies because I knew that I had everything I need for a successful segment. Mi-Jung Lee was the host (as the regular host Keri Adams was away of vacation.) The whole floor crew was very nice and helpful. When it was time for the segment, I was calm and ready, Mi-Jung was great and I thought the segment went very smoothly. Except for all the bright lights and big camera’s it was just like having a conversation. It was over, just like that, with no major flubs. Then it was time to pack up and head home. I went straight to my moms’s house so I could get the kids. My mom, dad, brother and the kids had all gotten together to watch the segment and it was such a nice feeling to come home to all that positive and support. All the positivity and support is definitely felt and appreciated and it gives me the motivation and drive to continue. I probably don’t say it often enough, but thank you to all of you who stop by, read and comment. It makes working on The Write Balance a real pleasure. Congratulations! I did a segment at Vicki Gabereaux many years back – same studio – and I had all of the same feelings as you! Thanks Scarlett. And how fun, I do remember Vicki’s show! I love you put this on your list of things to do and made it happen! Very inspiring. And I loved your segment…hope they have you back! Lol, that’s so true Nina, when all our interactions are online! You did awesome, and you are always organized so I have no idea what the butterflies were all about!